Large group reservations are subject to a 30 day cancellation/change policy and may be required to pay an additional deposit after booking. 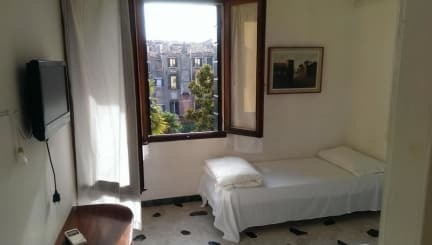 AWA Venice Apartments is your best choice for clean, affordable and comfortable accommodation in the heart of Venice. We are Offering a Special Group Rate For Groups of 10 or move during the Slow season. 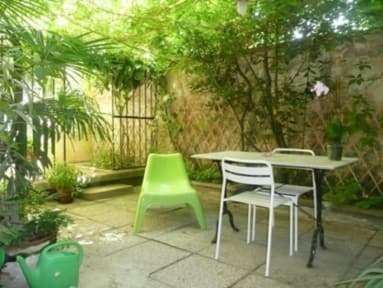 The rate is 25.00 Euros per person for a 3 night minimum stay. Please contact us direct with AWA Hostels to book your Group booking! Our range of spacious apartments and rooms sleep from 3 to 8 people, they are equipped with kitchenettes, full bathrooms, internet and located just minutes from San Marco square, in downtown Venice! Our front desk staff will provide you with the best city information so you can understand the maze of the amazing Venice streets; helping you unlock the secrets of Venice's best bars, restaurants and hot spots as well as all the most important cultural and historical attractions. *****WE KINDLY ASK YOU TO LET US KNOW YOUR ARRIVAL TIME! CHECK IN TIME IS BETWEEN 10:00 --- 21:00 . After 9PM there is 10€ late check in fee and after 10PM a 20€ late check in fee. You can also book us at our direct site awahostels. com about 35% cheaper to save up to 35% on your booking price. Taxes not included: . CITY TAX : 1:50 € person /night.